It's politics, not technology, that is pushing us towards dystopia. ‘Globalisation’ can’t do anything – it is not an actor; it does not have agency. The same goes for ‘automation’ – whilst robots may one day become autonomous beings, as things stand they still have to be programmed by people. 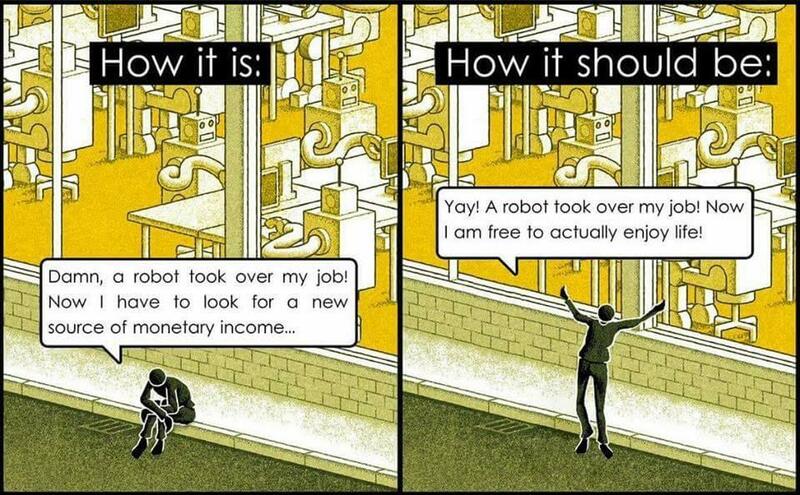 Hence the absurdity of claiming that ‘the robots are taking our jobs’. Robots don’t have the capacity to ‘take’ anything. This method of political discourse is powerful and highly ideological. Talking about ‘globalisation’ allows us to construct the idea of ‘globalisation’ as an inevitable, impersonal trend, driven by the agentless forces of history. The nominalisation completely obscures the fact that ‘to globalise’ is a verb – the same goes for ‘to automate’. ‘Automation’ doesn’t just happen – tasks are automated by people. When it comes to globalisation, the wealthy have benefited massively from the dramatic increase in capital mobility since the 1980s. They are increasingly able to invest their money anywhere in the world, paying as much or as little tax as they would like to along the way. 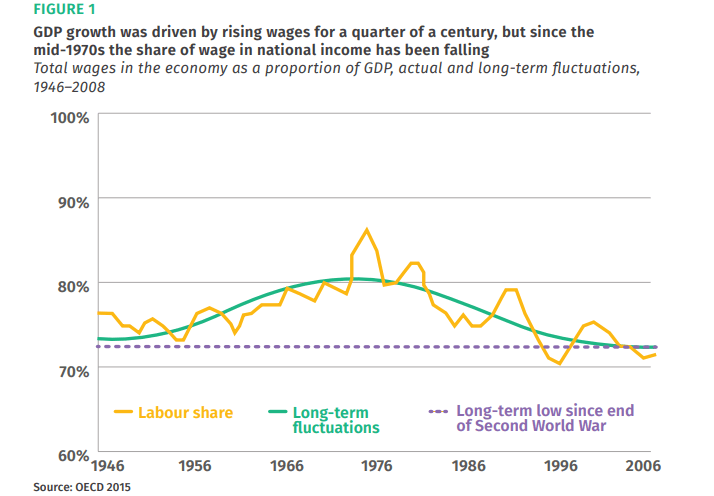 They would argue that this was an inevitable result of technological change, but legal, social and organisational changes were required too – from the removal of capital controls, to the massive deregulation of finance, to the creation of international financial institutions like the IMF and World Bank. The same kind of analysis can be applied to the idea of automation. We are increasingly being flooded with doomsday scenarios about mass technological unemployment resulting from developments in machine learning and artificial intelligence. Rather than challenging these narratives, many on the left have succumbed to these apparently inevitable changes and developed policies that will ease the pain – from universal basic income to the three-day week. This piece was first published on Novara media.